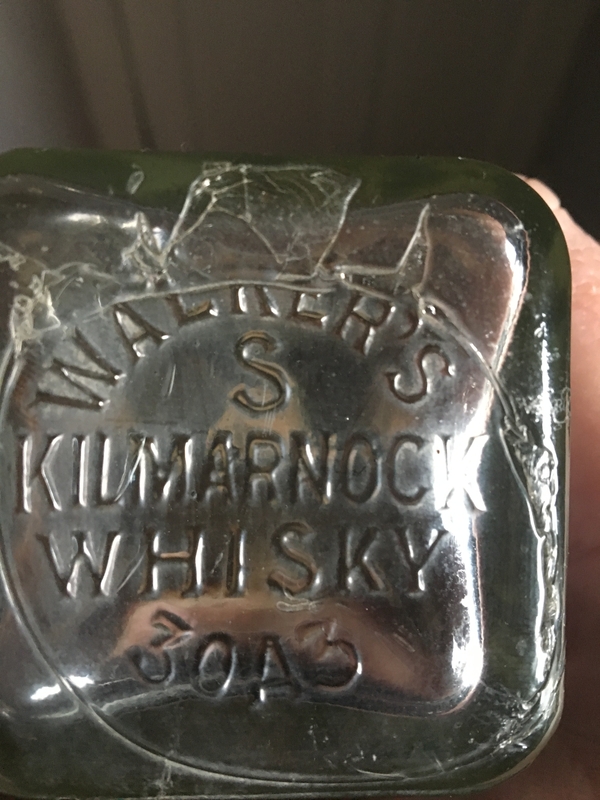 Does any one know how to value an old whisky bottle I have had for years, Its a moulded light green glass bottle with Walkers Kilmarnock whisky 1764 embossed at the botttom. Your bottle is from the second half of the 19th century. 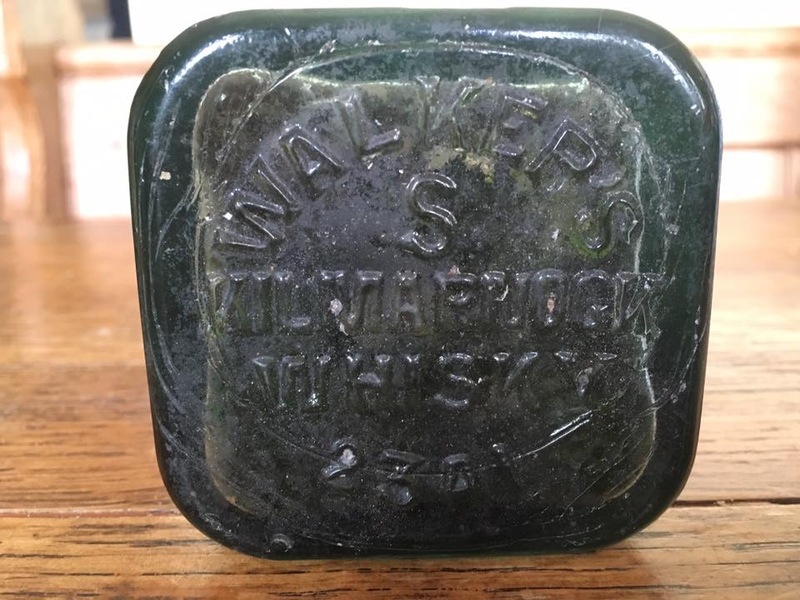 The name Walkers Kilmarnock Whiskey was dropped in the early years of the 20th c.
Thankyou for the info, I was going to throw it out lol ! Ive been googling like mad and found a few on websites but they all have a large S on the bottom and mine doesnt ! hola yo tengo la misma botella y dice 1798. wikipedia esta equivocado .las tragieron los colonos croatas a mi ciudad a fines del siglo XVII. I have a number 1563 on the base. What does the large s mean? 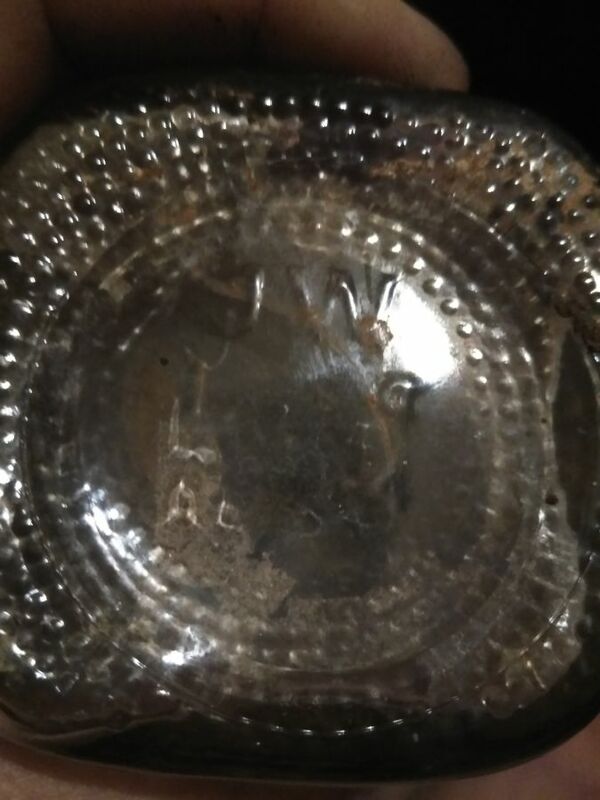 mallonjones and others - the large number and large letter as shown in the photos above are most likely mold marks. 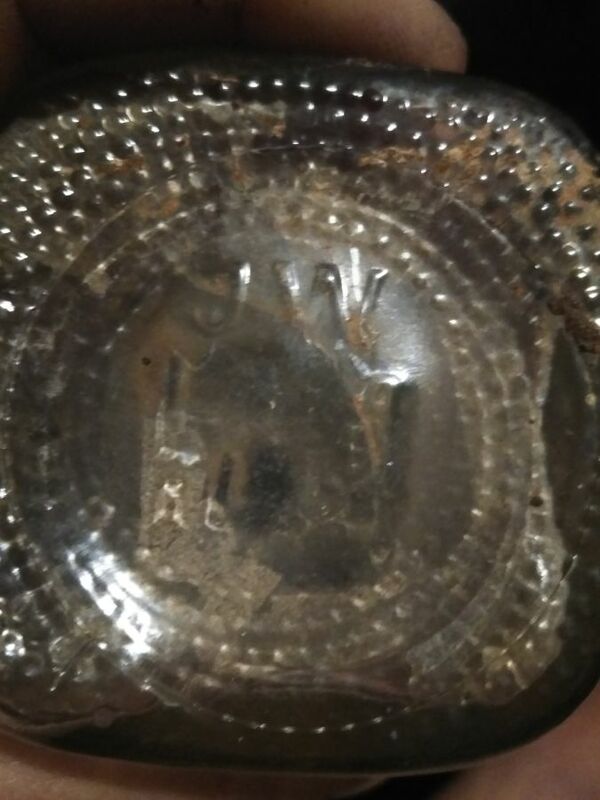 That is, they are markings that meant something to the workers who handled the bottle molds. Might they somehow correlate to the date of the bottle, or the date when the mold was put into use? Yes, but short of finding company related to them, their meaning is likely lost to history. 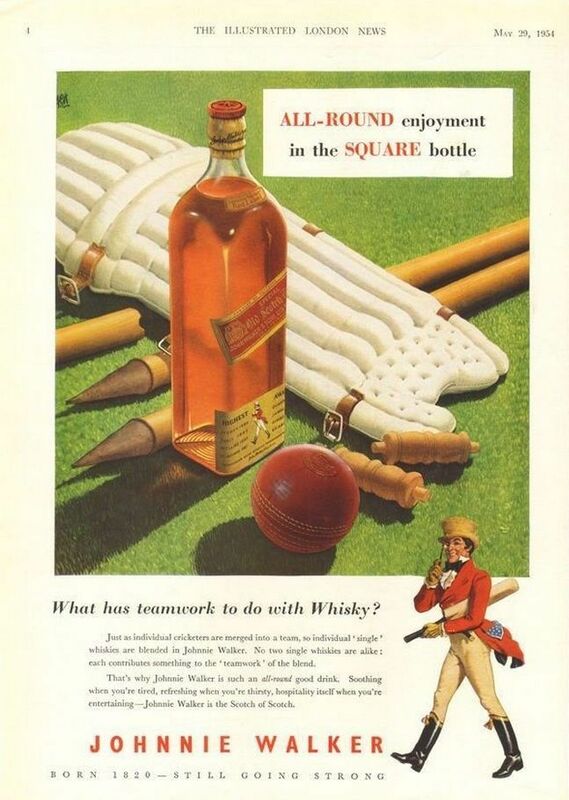 Here is an advert from 1954 showing a cork top Johnny Walker bottle - just because it has a cork closure does not mean it is a 19th century bottle. The 1950s bottle was almost certainly machine made, the mold seam most likely goes all the way to the top edge of the lip, and as the illustration shows, the color of the glass appears to be clear. Once you start examining all the details, you realize this is a different bottle than the aqua one depicted in this discussion thread. My guess @mjanthony is that your example is machine made and was made at a much later date. If the mold seam runs all the way to the top of the lip then it is machine made, confirming my suspicion. I found this bottle in the grafters of my outbuilding. It was completed in 1884 so I am assuming that one of the builders was having a wee dram. I too have dug up a bottle from the past. I have found today 3 January 2019 an old square shaped whisky bottle hidden under leaves in my local woods in Bristol, England. It is filled with moss but otherwise in perfect state. 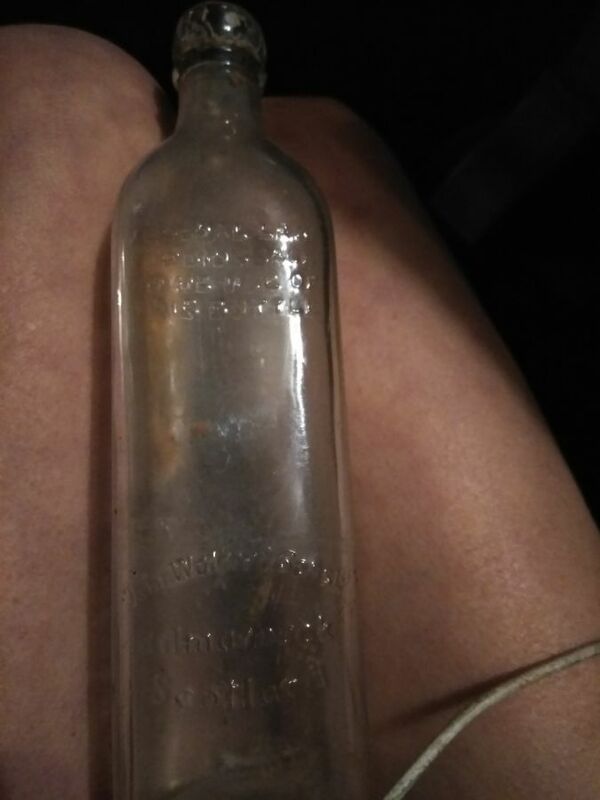 I found one about 3 years ago mine just has Kilmarnock whisky on the bottom the are a lot of air bubble in it i read that Kilmarnock whiskey turn to warker/Jonny Warker’s in 1860 don’t hold me to this I’ll see if I can dig it out and I’ll take a photo. 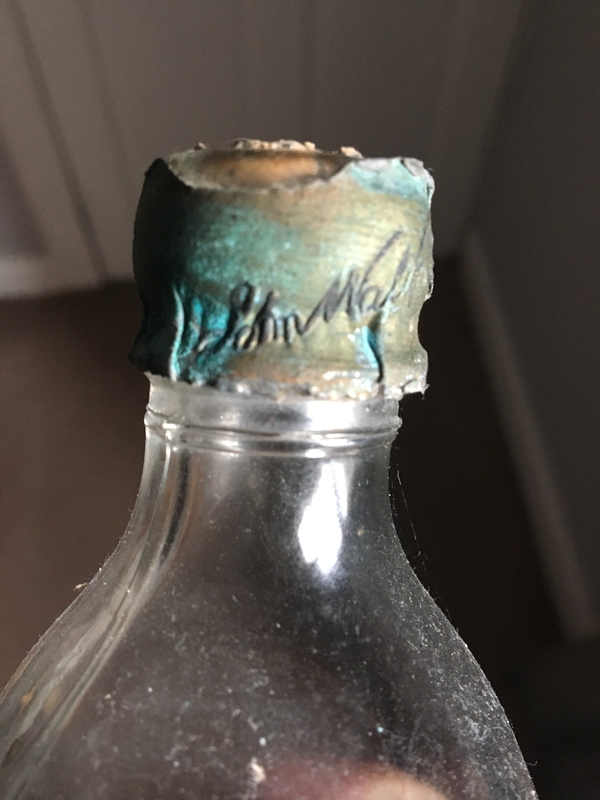 Just found a bottle with ”Walker's Kilmarnock Whisky 2" on the bottom. I've seen people talking of 4 digit numbers or an S or X but not a single digit. Any ideas? It has 2 seams and plenty of bubbles in the glass.